easyJet’s revenue jumped more than 14 per cent in its first quarter, the British no-frills airline said Tuesday, profiting in part from the collapse of rivals and flight cancellations at Ryanair. Revenue reached £1.14 billion ($1.6 billion, 1.3 billion euros) in the three months to the end of last year, easyJet said in a statement. “easyJet delivered a strong start to the financial year with a significant growth in revenue,” said the group’s new chief executive Johan Lundgren. “We have great revenue growth, strong cost control, a robust operation and a strong balance sheet,” he added in the statement. In reaction, the group’s share price was up almost six per cent at £16.53 in late morning deals on London’s benchmark FTSE 100 index, which was slightly higher overall. Markets reacted also to Lundgren’s first management shake-up. The Swedish former deputy of TUI travel group took charge on December 1, replacing Carolyn McCall who became chief executive of British independent television channel ITV. “A strong performance for new boss Johan Lundgren in his first quarter as easyJet benefited from a combination of Ryanair cancellations and the demise of a trio of peers removing some capacity from the market,” said Neil Wilson, senior market analyst at ETX Capital trading group. easyJet flew 18.8 million passengers, up eight per cent compared with the first quarter of its 2015-16 financial year. 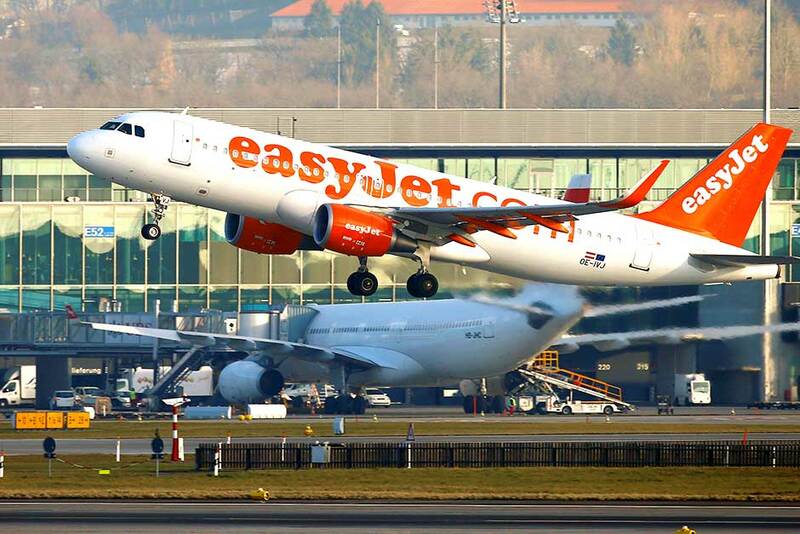 Earlier this month, easyJet said it had carried a company-high of 81.6 million passengers in 2017.
easyJet has benefited from the collapse late last year of British short-haul carrier Monarch, as well as from its recent part-purchase of bankrupt Air Berlin. It has been a tough few months for the no-frills sector, also with Ryanair cancelling thousands of flights largely owing to a pilots shortage. CHICAGO: Boeing Co.’s newest and largest 787 Dreamliner got the federal approval it needs to fly commercially, winning authorisation before the government shutdown on Friday. The certification concludes a flight-test programme that began last March for the first of the 787-10 carbon-fibre jets to be assembled solely at Boeing’s South Carolina factory, the Chicago-based plane maker said on Monday. That clears one of two new Boeing aeroplanes that were on the verge of winning approval from the Federal Aviation Administration as the shutdown loomed. The second plane awaiting a green light is the 737 Max 9, a new single-aisle model, according to the National Air Traffic Controllers Association, the union representing FAA certification workers. FAA certification usually sets the pace for other regulators.